This entry was posted in Uncategorized and tagged blogger bundle, fabric spark, giveaway. Bookmark the permalink. I absolutely love their bundles which they have made up, especially Lyla’s birthday. Thanks for a great giveaway too. I love the fabric selection! I have been eyeing some of the Bonnie Christine, Anna Maria Horner and Erin McMorris’ collections. I absolutely love the ARCADIA – INK fabric. I love the detail and the little animals and the colours are really pretty. I like the riley blake space fabric – I have a little boy who is crazy about anything space related! I love the Classical Elements – Dots Grey. Thank you for the giveaway!! I love the NORWEGIAN WOODS – FOXTROT JEWEL. Gorgeous!! I love Brassica in grey. Thanks for the chance to win! Daryl’s shop! Wow! I never knew! Canadian eh! That is just fabulous! I signed up for any updates and I am thinking this is the place for my online shopping! Thanks for hooking us up! I love it all! I love the selections in the neutral section, and how the website is organized so I can browse by so many subjects. Thank you for the giveaway! This is a gorgeous bundle! I also love the River Rocks bundle and the fact that anyone can create their own custom bundles! Their website is easy to navigate and makes shopping fun, it also makes it hard to decide because there are so many great choices! What a great bundle you have chosen Sarah! The Lotta Jansdotter neutrals like Little Bloomster would be fun to work with. I love the Bank Swallow Blue fabric by Charley Harper! I want a lot of what this shop offers! I like that there are a lot of fabrics I have never seen before! Lovely bundle. So many nice things, hard to pick a favorite. Great variety in the bundles offered at FabriSpark, but I think I like yours the best! Great job! I love the IPANEMA MAIN BLUE fabric as well as the others in that collection. I love Wonder in Pale Ink. I love Anna Maria Horner. All of their fabrics are amazingly fresh. Thanks for the giveaway! 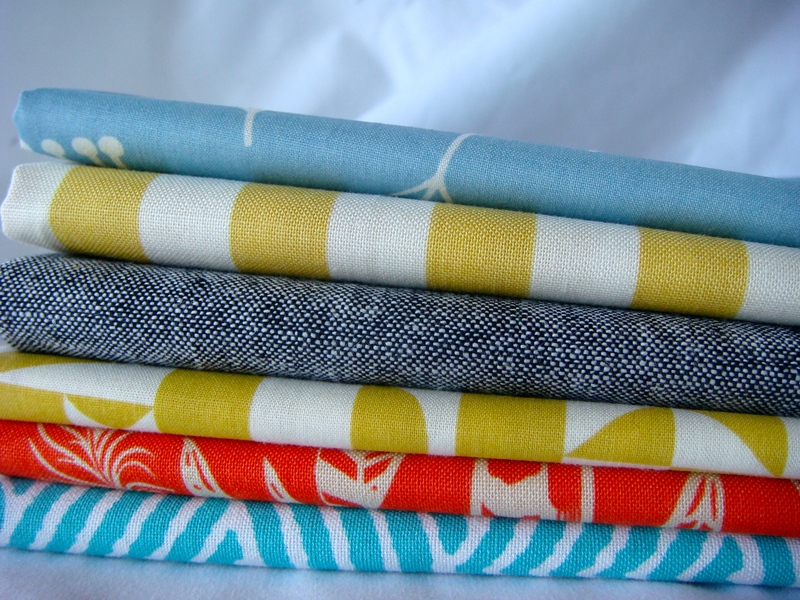 I love the Bee Sweet Morning fabric by Bonnie Christine. 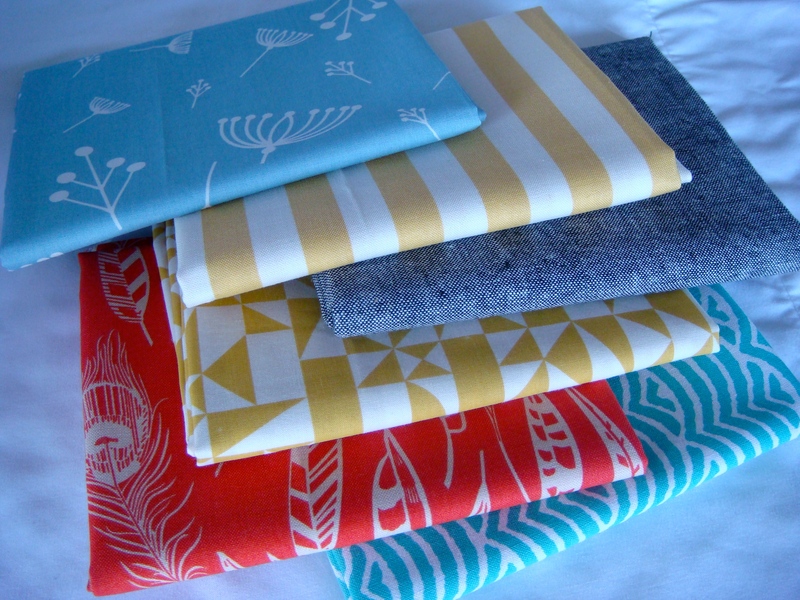 I’m going to have to say the bundles, specifically The Very Shannon Fat Quarter Bundle. I like the bundles but I also like the organization. Being able to go straight to colors is helpful. I have a weakness for bundles as well 🙂 But like Chris above, I like the organization as well. It’s helpful when I’m hunting something down and only know one piece of info about the fabric! All of those wonderfully colorful fabrics just popped up. I love her fabric choices, the bundles and the navigation of the website. So organized and you can go right to what you want to look at. There’s so much to love about fabric spark, from her selection, to sale prices, to cheap shipping, fast service…I could go on! My favourite is the Joel Dewberry Notting Hill. My favorite part of this site is how it’s set up. I love how easy it is to find collectons. 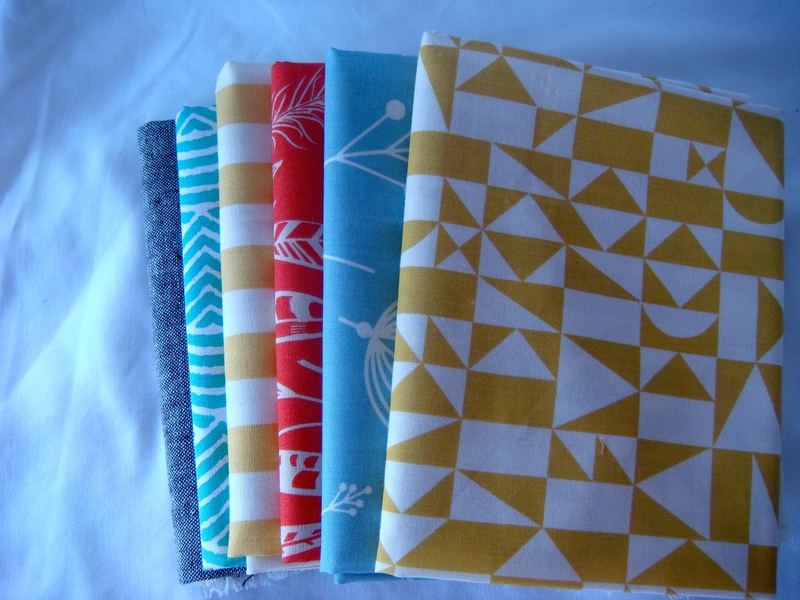 I absolutely love the beautiful fabrics and simple design in the baby quilt Daryl recently revealed in her blog. She’s kitted it up for a show, and while the kits aren’t on her site yet, I hope they soon will be. Love the shop! I like the precut sections of the shop! Beautiful fabrics, especially the Paperweight Sludge. I love the Origami- Sky print fabric. Just gorgeous! I like that you can shop by theme, especially “mid century modern.” I also love the bundles in the shop. Enjoyed browsing the Fabric Spark Shop. I like the BEE SWEET MORNING fabric.